Uber has once again found itself reeling from a new controversy. Revelations has emerged that the company tried to cover up a massive breach last year by paying off the hackers. The company initially kept the massive breach a secret. About 57 million users and drivers had their names, email addresses and phone numbers accessed. Uber paid the hackers $100,000 to delete the data and not disclose the breach. According to The New York Times, the ride-hailing company made the hackers sign nondisclosure agreements to cover up the cyberattack. The episode apparently took place late last year. Former Uber CEO Travis Kalanick apparently learned of the breach a month after it occurred. The company has reportedly fired two executives involved in the response to the breach and the subsequent cover-up. A series of scandals resulted in the resignation of Kalanick earlier this year. Those scandals included using a software tool called Greyball to evade state and local regulators and allegations of rampant sexual harassment. Khosrowshahi took over for Kalanick in August. Governments around the globe have launched investigations into the Uber breach. According to legal experts, the company is likely to have run afoul of breach notification laws. Authorities in Britain, the United States, Australia, and the Philippines have all announced taking action. Some U.S. lawmakers have called for Congressional hearings. 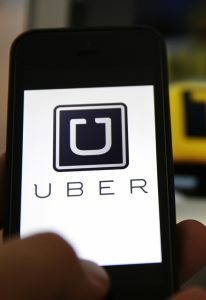 Rep. Frank Pallone, Jr. (D-N.J.), ranking member of the House Commerce Committee, said, ”If Uber did indeed secretly pay-off the hackers to keep the breach quiet, then a possible cover up of the incident is problematic and must be investigated.” The ride-sharing company now faces probes from multiple state attorneys general and regulators.